A flyweight matchup pitting top-10 flyweight contenders Kyoji Horiguchi and Ali Bagautinov has been added to UFC Fight Night 97. The news was announced on Tuesday by UFC Japan. 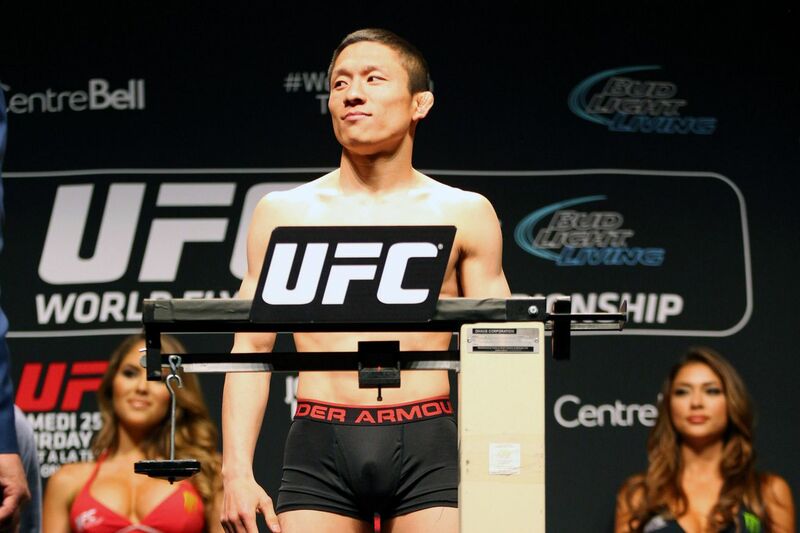 Horiguchi last fought at UFC Fight Night 87 back in May where he defeated Neil Seery via unanimous decision. The 25-year-old Japanese fighter is currently 2-0 since losing to the champion Demetrious Johnson in a title fight at UFC 186. Horiguchi is ranked third in the UFC flyweight rankings. His opponent, Bagautinov, recently returned to the winning column with a unanimous decision victory over Geane Herrera at UFC Fight Night 89 back in June. Prior to that, the number eight ranked UFC flyweight was on a two fight losing streak that included loses to Joseph Benavides and Johnson. UFC Fight Night 97 takes place on Oct. 15 in Manila, Philippines. B.J. Penn is scheduled to make his long-awaited debut against top-five featherweight Ricardo Lamas in the main event of the card.